In 1992 when the San Francisco Estuary Partnership produced its first Comprehensive Conservation and Management Plan (CCMP), the community of participants was looking largely backward in time to the 19th century before massive population growth and ensuing development occurred around the San Francisco Estuary. At the time,the science of how the Estuary worked was in its infancy, and the politics of managing San Francisco Bay and the Delta were embroiled in various battles over water supply, dredging, fish, pollution, and other environmental ills. 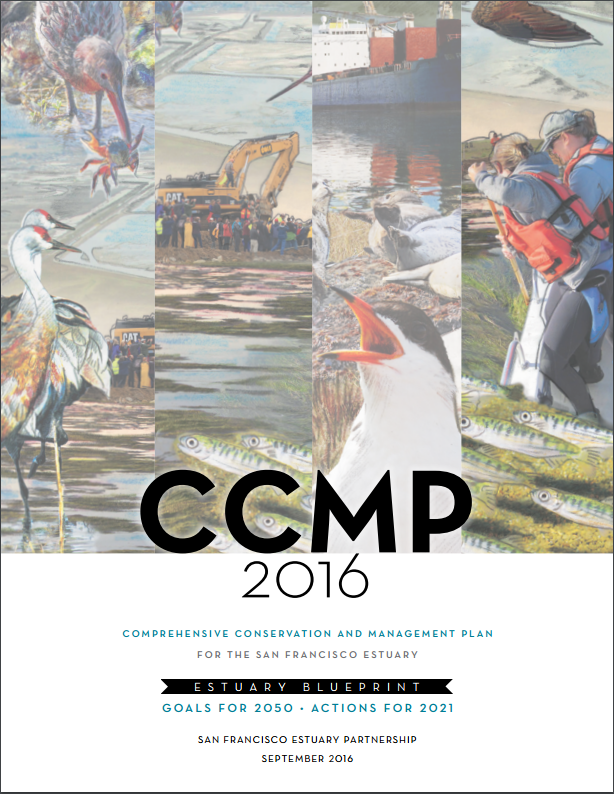 The 1992 CCMP used new science and regional partnerships to begin resolving natural resource conflicts and fix damage to habitats and species of the Estuary. Its framers crafted goals and actions with an eye toward restoring the landscapes and waterways of a less disturbed era. They cast restoration objectives with the intent of bringing the Estuary back to the health and vitality of an earlier time. Twenty-five years later we know that we can never recover that Estuary; it is too altered by human development, too invaded by alien species, and too changed from the way it used to function historically. We do know, however, that we can bring back vibrant, healthy habitats to some parts of the Estuary, and that they in turn help recover endangered species. We also know that despite population growth, we can still conserve water, grow wetlands, green cities, and protect some wildlife. With these successes in mind, and with access to so many new shorelines for recreation and personal enjoyment,those who live around the Estuary are more eager than ever to help sustain it. 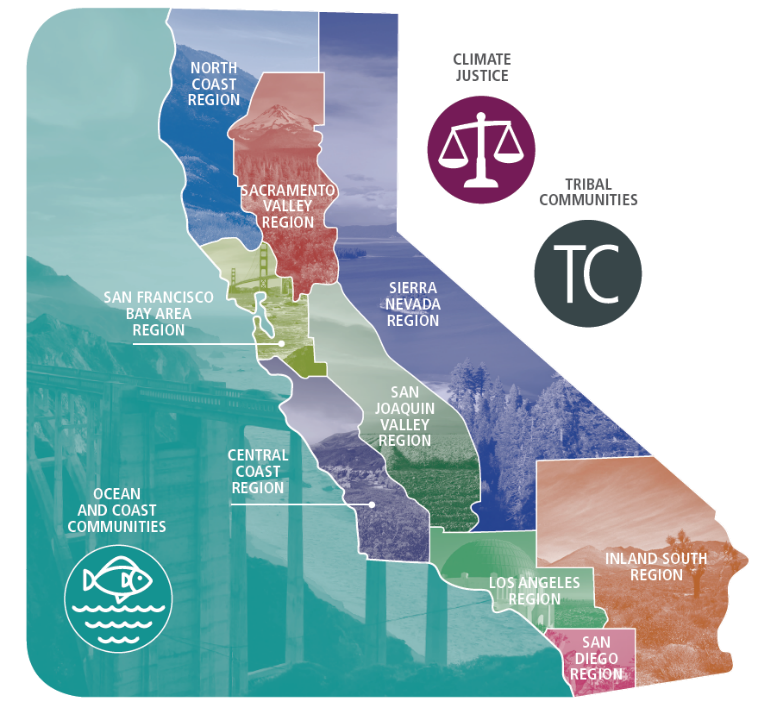 So what is to be the future of the Estuary that sits at the heart of 12 Bay Area and Central Valley counties and serves all of California as the hub of a critical water supply system? How can the people and communities that surround the Estuary best protect this economic engine and ecological treasure? Can we sustain all the beneficial uses of its waters—for drinking, irrigation, shipping, fishing, recreation—while reducing stresses on its habitats and wildlife and restoring them to health? If climate change and population growth continue as projected, what will the Estuary look like in 50 years? How do we plan for both expected changes and those we cannot yet foresee? What actions can we take now to help ensure a thriving Estuary in 2050, 35 years in the future? These are the pressing questions that the San Francisco Estuary Partnership, working with hundreds of partners over the last 20 years,has sought to answer. And it is these questions that shape the core of our new Estuary Blueprint (formerly the CCMP). The purpose of the 2016 Estuary Blueprint is to provide all of us who call this place home with a working blueprint for cleaner waters,enhanced habitats, and healthier fish and wildlife in the San Francisco Estuary. The San Francisco Estuary Partnership’s Estuary Blueprint is a collaborative agreement about what should be done to protect and restore the Estuary — a road map for restoring the Estuary’s chemical, physical, and biological processes to health. The first CCMP, required under a reauthorization of the Clean Water Act in 1987, was produced in 1993 after several years of status assessments and policy discussions in which over 100 different stakeholder groups took part. It was the first plan to recognize that the Bay and the Delta should be managed as one Estuary, and remains the only plan of such scope to date. After 14 years of implementation, the CCMP was updated in 2007 to include new and revised actions while maintaining many actions from the original. The 2016 Estuary Blueprint reflects the changing context of Estuary management over the last few decades. While this version incorporates many of the original CCMP goals, it has a new focus on the need to plan and adapt to climate change. In addition, the actions in the new Estuary Blueprint address the results of our 2015 State of the Estuary assessment. This assessment examined numerous science-based indicators of the health of five Estuary attributes: water, living resources, habitats, ecological processes, and people. This strong link between science and management will allow for a more direct evaluation of the outcome of our Estuary Blueprint actions. The 2016 Estuary Blueprint revision represents a major overhaul of earlier documents. The 2007 CCMP included over 200 actions. The new structure includes 32 actions to be carried out over five years, connected to 35-year goals and objectives. 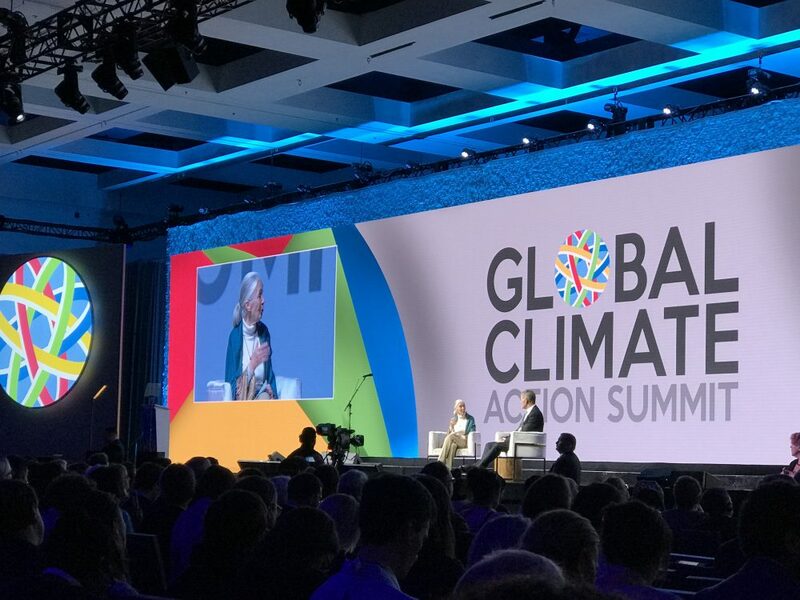 By focusing on a more manageable number of priority actions, and updating priorities every five years, the Partnership expects to be more responsive and adaptable in the face of uncertain and changing environmental conditions. Implement a focused and strategic revision process that results in less than 50 priority actions. Increase coordination and integration within the San Francisco. Estuary Partnership’s entire planning area, both within the Bay and the Delta. Acknowledge key regional plans and policy documents developed since publication of the first CCMP. Include measurements to track progress for all actions and develop a tracking tool. Integrate the State of the Estuary Report, State of the Estuary Conference, the Partnership’s Strategic Plan, and the Estuary Blueprint in an adaptive management framework for the Partnership. Several governing bodies directed the efforts of the Estuary Blueprint revision. San Francisco Estuary Partnership Implementation Committee (IC): The 27-member IC is made up of partners who are engaged in implementing the Estuary Blueprint. The IC meets quarterly and provided overall guidance, interim input, and final review and approval of the revised Estuary Blueprint. IC Estuary Blueprint Steering Committee: Comprised of volunteers from IC. The 12-person Steering Committee met periodically to guide and direct the overall update as representatives of the IC, and served as content experts on Estuary Blueprint Program Area Subcommittees. Estuary Blueprint Topic Area Subcommittees: Three initial subcomittees were formed on topic areas corresponding to the attributes of a healthy ecosystem as described in the 2011 State of the Bay Report: Living Resources, Habitats, and Water. The subcommittees were composed of Steering Committee members, San Francisco Estuary Partnership staff, and 20 additional outside experts. The subcommittees were responsible for developing key content for the revised Estuary Blueprint. Initially, the subcommittees met separately to develop content. They later joined to review the entire suite of goals, objectives, and actions. San Francisco Estuary Partnership Staff Team: This team managed the overall Estuary Blueprint revision process, including: developing agendas for and facilitating Steering Committee meetings; providing guidance for, and participating directly on, Program Area Subcommittees; and compiling all content. Interested parties not on the Steering Committee and Topic Area Subcommittees provided input on interim products throughout the development process. A public draft of the Estuary Blueprint was released in 2015 and the document was revised in response to written comments. In addition, Staff engaged partners and the general public through various forums including presentations, meetings, the San Francisco Estuary Partnership website, and State of the Estuary Conferences in 2013 and 2015. View public comments from the 2015 Estuary Blueprint public review draft here. Embedded below is the Executive Summary for the Estuary Blueprint. You may read it on-screen, print it, or download it for your own records or sharing with others.